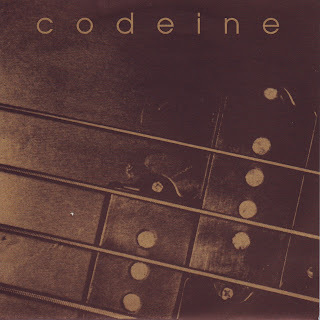 I am currently really loving Sic Alps so I figured I would check out what Mike Donovan was up to before he started that band. 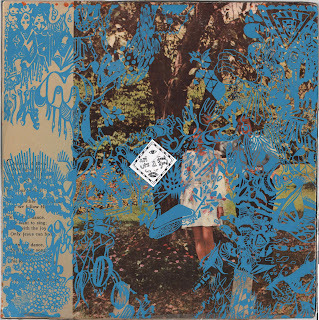 I have to say that although I don't think I would personally go that route, I do appreciate that Dial was a label that exclusively put out lathe cuts from New Zealand. I was way less hip to what was happening in San Francisco after I moved away so I never really knew about this stuff until recently. When I was in 6th grade I went to outdoor school and if you showed up late to anything you were forced to stand in front of everyone and sing a song that included the words "better late than never, better never late", which seems an appropriate thing to mention now. 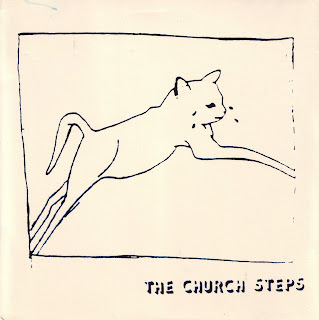 Ladies and gentlemen, for your listening pleasure, The Church Steps. I wanted to like this band and obviously gave them a number of chances before deciding that this sort of music just wasn't for me. The records were shelved for some years and not listened to again until recently. I was surprised to find that my opinion had indeed changed over time. The truth is that I quite enjoyed these records. I do have a soft spot in my heart for Canadians, and although they are from The Great White North I don't think that fact is clouding my judgement. I never saw them, for one reason or another. These things happen. 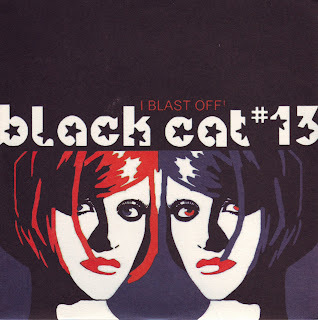 I believe people in this band went on to perform in such groups as The Sick Lipstick (who I did actually see once in Brooklyn), Death From Above (1979 or otherwise), etc. 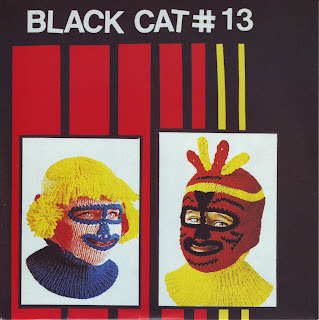 Ladies and gentlemen, for your listening pleasure, Black Cat #13. 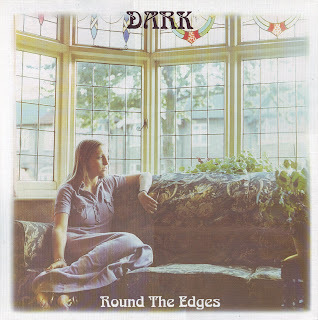 Round The Edges came out in 1972 in some ridiculously small number, which I would say bodes well if I didn't already know that it is fantastic. Seriously, private presses from the early 70s are generally pretty radical. 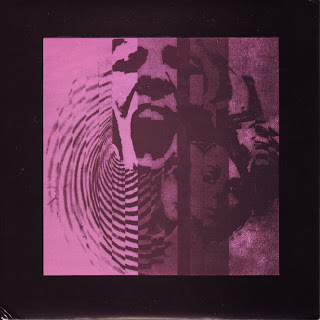 I have been really into listening to psych records lately and these two seriously do not disappoint. 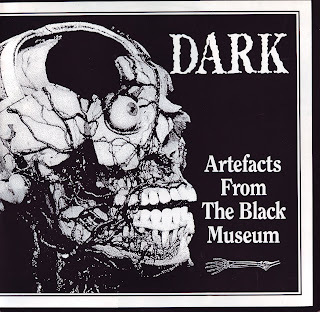 Ladies and gentlemen, for your listening pleasure, Dark. Most of these records feature the now defunct lineup with Ted McGrath, the only exception being the split with The Creeping Nobodies. The Terrific Seasons EP is basically the first side of Terrific Seasons, but produced as a tour CDr. 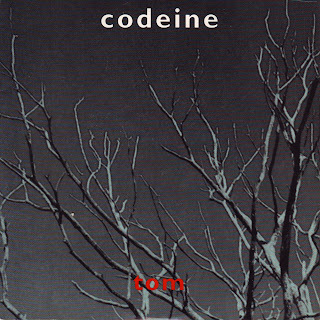 The cassette was later reissued as a limited run CDr, but without the untitled Side B. 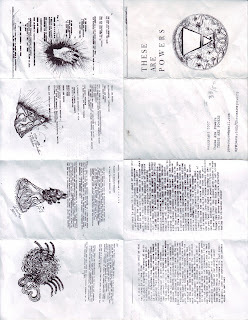 The pamphlet was handed out at some of their early shows. 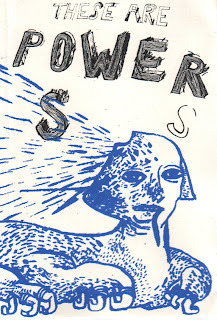 Ladies and gentlemen, for your listening pleasure, These Are Powers. Music is much more interesting because of this man. 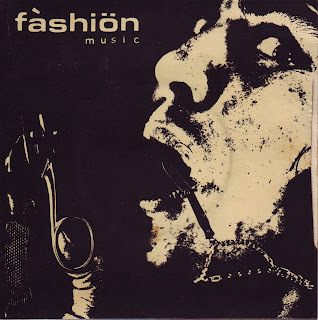 Ladies and gentlemen, for your listening pleasure, 2 singles by Richard Hell & The Voidoids. 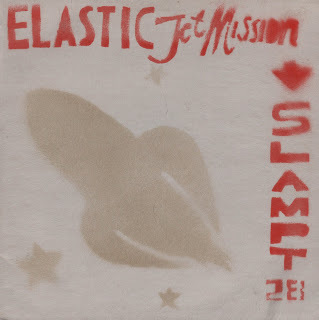 On the strength of the one song on the Elastic Jet Mission compilation, I decided to purchase the rest of the Kenickie singles discography and share it with you. Luckily most of it can be had pretty cheaply, as they are deleted releases not much in demand. 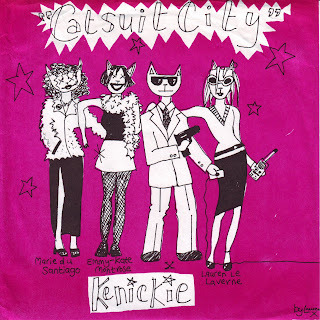 Ladies and gentlemen, for your listening pleasure, Kenickie. One of the dudes from this band was nice enough to put on a show for my band in Paris recently, and then find us our own apartment to stay in for the evening. Amazing! I didn't realize he had been in this band until I noticed all the flyers featuring various spellings of the name in the bathroom. He admitted it under questioning. I saw them play with The Good Good at The Woodser a few years ago and quite enjoyed them. Ladies and gentlemen, for your listening pleasure, Api Uiz. 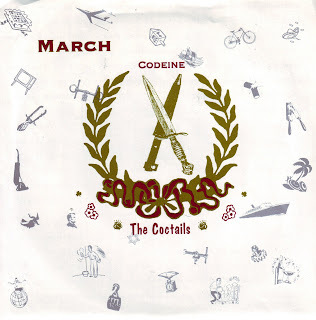 I don't know too much about this band, other than the fact that it currently features Kyp Malone. I don't know whether it did at the time, or who else was in the band as there are no credits. 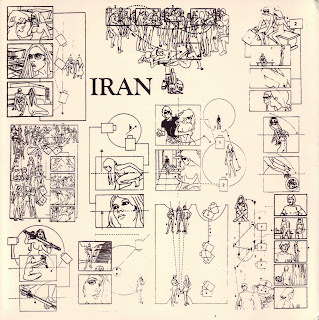 Ladies and gentlemen, for your listening pleasure, Iran. I picked up two of these singles when I was most recently in London, only to discover after examining them that I was missing the middle one. 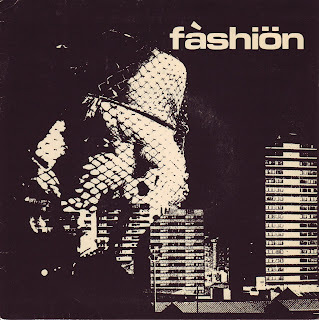 However, I was fortunate enough to find a copy of it on the cheap at the WFMU record swap and thus now you can listen to the first three catalogue numbers of Fashion Music. I quite enjoyed these. The late 70s was a pretty killer era for music, all told. New Wave, Post Punk, call it what you will. I love it all, etc. 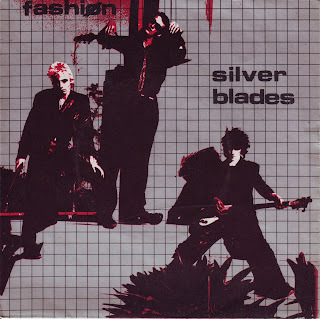 Ladies and gentlemen, for your listening pleasure, three singles by Fashion. This record featured a young Mac McCaughan, before he formed the band he is much more famous for, Superchunk. It was recorded during the late 80s and makes me a bit nostalgic probably because it sounds so dated. 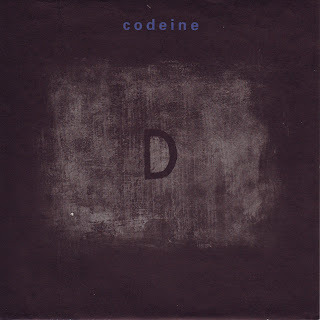 That is not to say that I did not thoroughly enjoy this record, as I did. I love double singles, and I found yet another one that failed to disappoint. 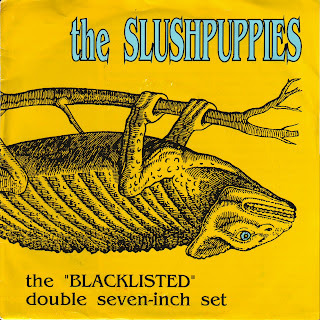 Ladies and gentlemen, for your listening pleasure, The Slushpuppies. 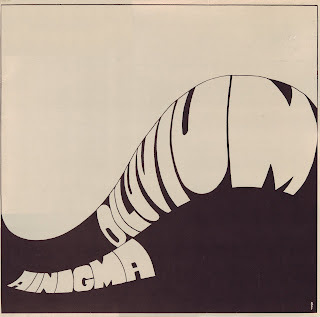 I haven't been able to find out much about this band, unfortunately. They hailed from Manchester and featured three girls and two boys, if the photo from the Damaged Good website is to be trusted. These records are all totally amazing. There is so much good stuff here, and it makes me glad that I went through the trouble of tracking down all five of these. Consider yourselves lucky that now, at long last, you can listen to all of this digitally. 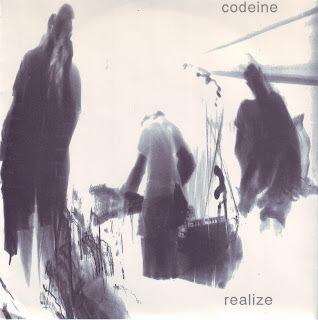 It is still hard for me to believe that they never released an LP. If you like any of that boy/girl English stuff (Huggy Bear, Red Monkey, etc.) then you will love this. I know I do. Ladies and gentlemen, for your listening pleasure, five singles by Bette Davis And The Balconettes. I saw Longstocking once, at Jabberjaw opening for Sleater-Kinney, if memory serves. They were great. This is a request from a long time ago that I am finally getting around to filling. Sorry for the wait, these things get lost in the shuffle sometimes. Ladies and gentlemen, for your listening pleasure, 3 sides of Longstocking.